It’s been a long and busy month of baking! This is the first of several cupcake posts that will be posted in the next few days. This recipe is from Rose’s Heavenly Cakes, an inspirational and absolutely fabulous source for recipes and cake baking technique. I highly recommend it! 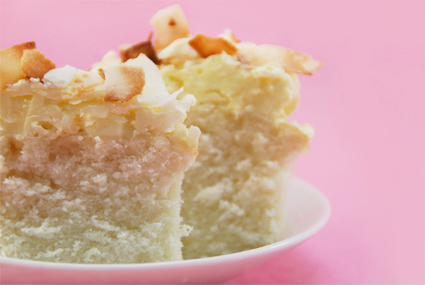 These are a coconut chiffon cake made with coconut milk and coconut extract, topped with a very buttery coconut buttercream frosting and sprinkled with toasted coconut. 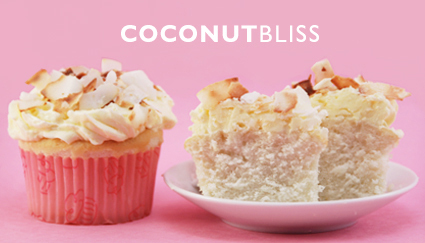 If you’re in the mood for… yes coconut, this is the treat for you! These cupcakes are every bit as tender and moist as this photo implies. The recipe is a modification to a chiffon cake so that it stands up to baking in a regular cake pan, as opposed to a tube pan. I took it one step further and tried cupcakes. 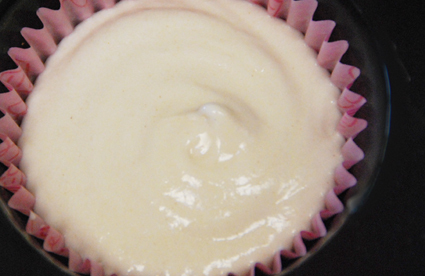 The frosting is a combination of an Italian Meringue recipe and a Coconut Creme Anglaise recipe (a French term for custard) mixed together in an exceptionally buttery buttercream frosting. We’re talking 4 sticks of butter in one batch. Expecting something greasy and heavy, I’ve never tasted anything so rich and creamy. Follow her instructions exactly, or else! Here is the meringue recipe from the book. Check out Rose’s Heavenly Cakes for the rest. Beat egg whites until foamy. Heat 1/3 cup of the sugar and water in a sauce pan until sugar dissolves. Back at the mixer, beat in Cream of Tartar and remaining sugar until stiff peaks form. Back at the saucepan, heat the simple syrup until just boiling (247 degrees F). Remove from heat and gradually pour the hot syrup into the mixer as you beat the egg whites. The result is a beautiful meringue! Here is what the cakes look like just out of the oven. I baked these until the tops just started to brown. 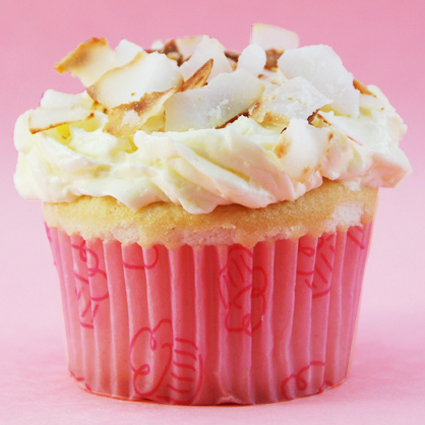 The recipe calls for plain coconut sprinkles on top, but I thought toasting it would add an extra layer of flavor and add to the visual appeal of the cupcake. wow, these cupcakes looks divine!